Discussion in 'The Tiki Bar' started by bracketracer, Dec 6, 2016. My baby getting some TLC. Getting a hand full of little things fixed before the warranty runs out. Long Island - Great South Bay / Delray Beach, Fl. One of my sons bought this car a little more than a year ago. I had never driven a Porsche before. Have always owned sports cars, Italian, American, a bunch of Audis. Until the Audis, I never considered them to be daily drivers. After driving it, discovered my head did not hit the ceiling, seats were comfortable, fairly easy to get into and out of. I sold the Audi and ordered a new Porsche with a custom build. It's my new daily driver. Pleasantly surprised with how it handles snow. Wow, gorgeous color . Good luck!!! In NY, I put winter tires on it and it handled snow pretty darn well. But, I avoided it because of the other idiots on the road. You would think it would be common sense that a car handles differently on wet surfaces, even 4 wheel drive vehicles. I sold the winter tires and my Ram 1500, and moved to Florida 2 months ago. It is now my daily driver and man am I enjoying it on these smooth roads. I own this car over 5 years and I still can’t get enough of it! Its amazing how many Porsche owners are on this site. If I had a bigger garage, there would be a 69 Camaro next to my P-car. Back in 1995, I was 24 and bought my first "fast" car. 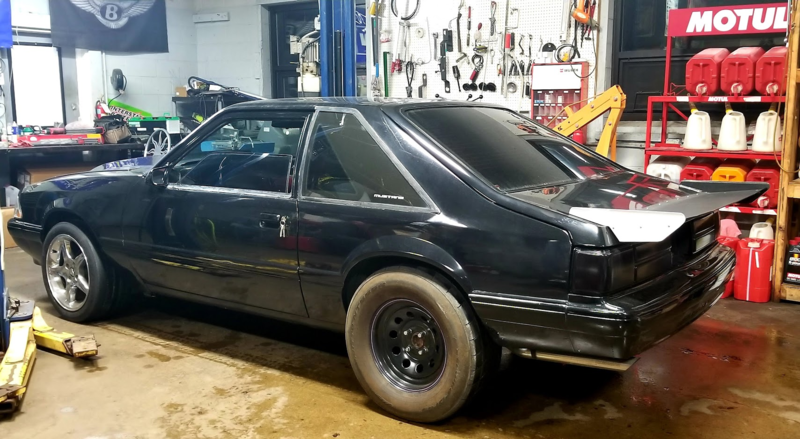 I was living in Knoxville, TN at the time, and found an 88 Mustang LX 5.0 for sale. Had about 100k miles but it was in pristine condition. Mostly stock other than 3.55 gears, Flowmaster exhaust and a Hurst shifter. Before long, I started bringing it to one of the local drag strips to see what it would run. Within 2 months of my first pass, I started bracket racing (hence the handle) 2 and 3 times a weekend. Some weekends, I'd load up the car with slicks, a jack, tools, some clothes and drive to various bracket events around the Southeast. Rockingham, Bristol, Gainesville, Bradenton, Atlanta. Anyway, I sold that car about 8 years ago, and have always missed it. This kind of fell into my lap a couple of days ago. '91, Southern car, 3.73 gears, shorty headers, shifter, exhaust. Has recent paint that has yet to be wet sanded, so that will be my first project. Shame that it's winter in Western NY but looking forward to Spring. Merc 2013 C63 AMG with Performance Pack. The Isetta courtesy car that comes with our extra slip used by preferred guests. WV 320 Dancer and M Prod like this. first quick wash of the season..
At 48 years old, I finally spent more than $10k on a car. This one I'm keeping. 2016 Audi S6 Prestige with all of the option boxes ticked other than the 1300 Watt B&O sound system. Little Ducky, juggernaut1 and Strypes like this. Daughter just bought a 2016 Acura TLX V6 AWD today. Car has 4000 miles and is loaded. She has a 2016 Wrangler Sahara Unlimited she bought new and had a 4" lift, 35" tires, and 4.88 gears installed so not very feasible to drive her 40 mile daily commute. She has a 2007 Chrysler Sebring Limited with 60,000 miles she has been driving but decided to move up to something newer. please refrain from any hair comments from my senior prom pic!! Found that 1987 928S4 in a tow lot in East St Louis IL, the owner thought it was a 944 and let it sit in a covered garage for 6 years because it had electrical gremlins and ate batteries, bought it for $5k, only had 62k miles on it. Flatbed back to my buddies shop and after about 4weeks and an additional $6k worth of delayed maintenance wheels, and some mild performance upgrades she is solid. It was my son's 16th bday gift and his daily driver for (2) years until I upgraded him for his 18th bday to the 996C4s. We flew to Oakland and bought the 996, drove it back to St Louis via Las Vegas, a trip he will never forget. Fortunately for me, he is now away at college and has my old 2009 f150 w/270k miles and I have the (2) PCars to drive as weather permits. I really love the 911, but the sound of the 928 with an X Pipe, cat delete, and rear muffler bypass is so pleasing.... I get a little excited just talking about it. Baja 240 Sport, For fun. New 2019 A5. We are up to 590 miles on the clock. Like the Coupe like lines in a 4 door. bracketracer and Little Ducky like this. I'm enjoying watching your auction over on BAT. Thanks, it is a lot of fun for sure.